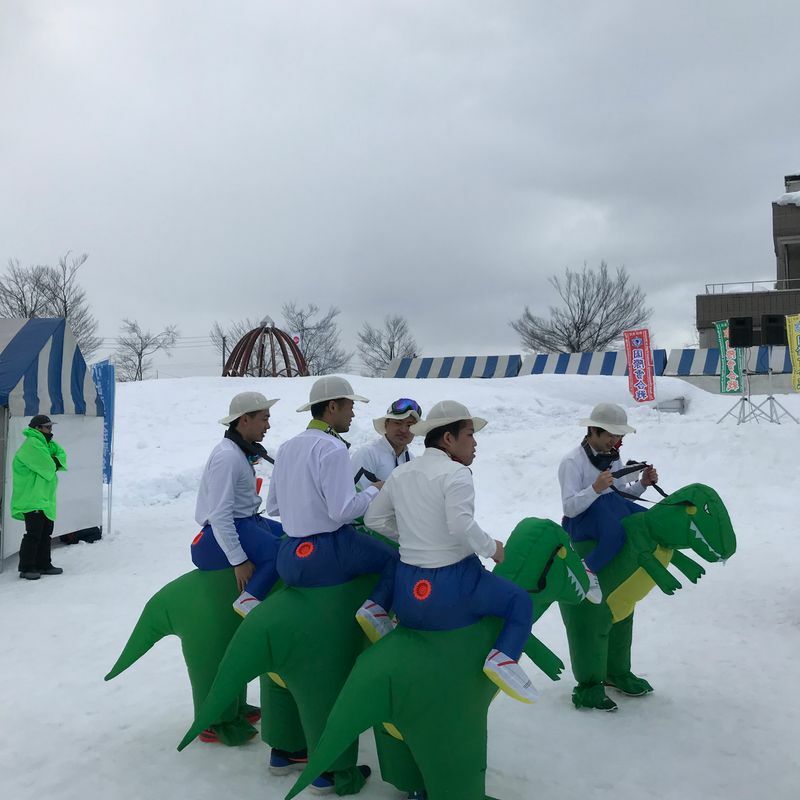 Japan has a number of great quirky festivals to enjoy - and today here in Niigata was the Koide International snowball fight! 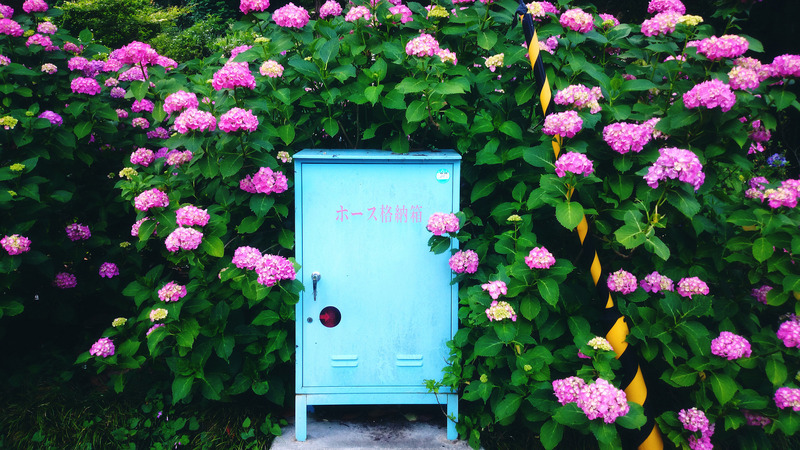 This year was the 30th annual event, and there were people galore checking it out. Teams have to sign up before the event itself, so we were just spectators. 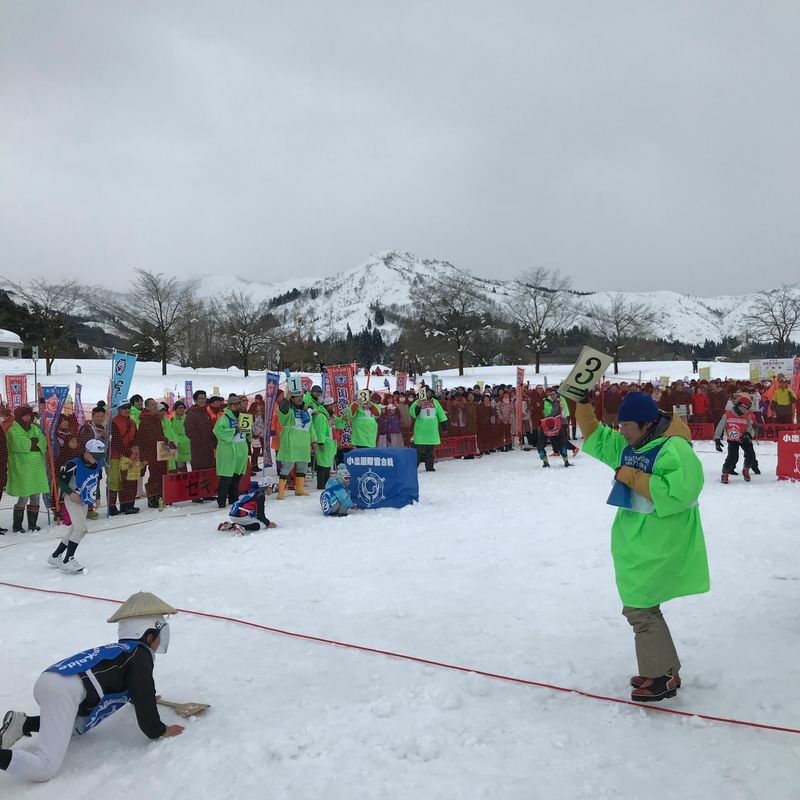 We stuck around to watch the kids snowball fight events, but adults compete as well— even the kids events were intense, though! Plenty of ducking and weaving, dodging, running, and naturally, throwing those snowballs. It has been pretty cold here the last few days (and not so snowy), so the snow was more “icy” than fluffy and powdery - I don’t think I would have been too enthusiastic to compete, even if I had the opportunity. Those snowballs sure sounded like they were packing a punch as they hit things! One of the best things about the festival was the dress up competition they held as well. I had to admire those who were in costumes that did little to shield them from the cold! The ladies below were the days winners for the costume event. 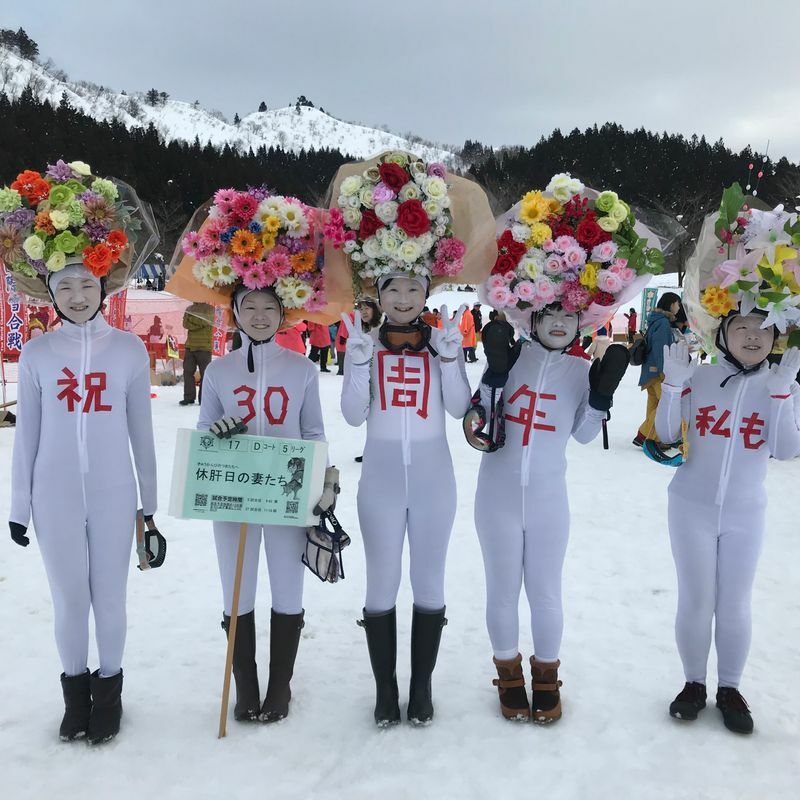 Since it’s the 30th anniversary of the event, they went as giant flower bouquets. Clever, and funny - but they were certainly shivering away, so the win was well deserved in my opinion! 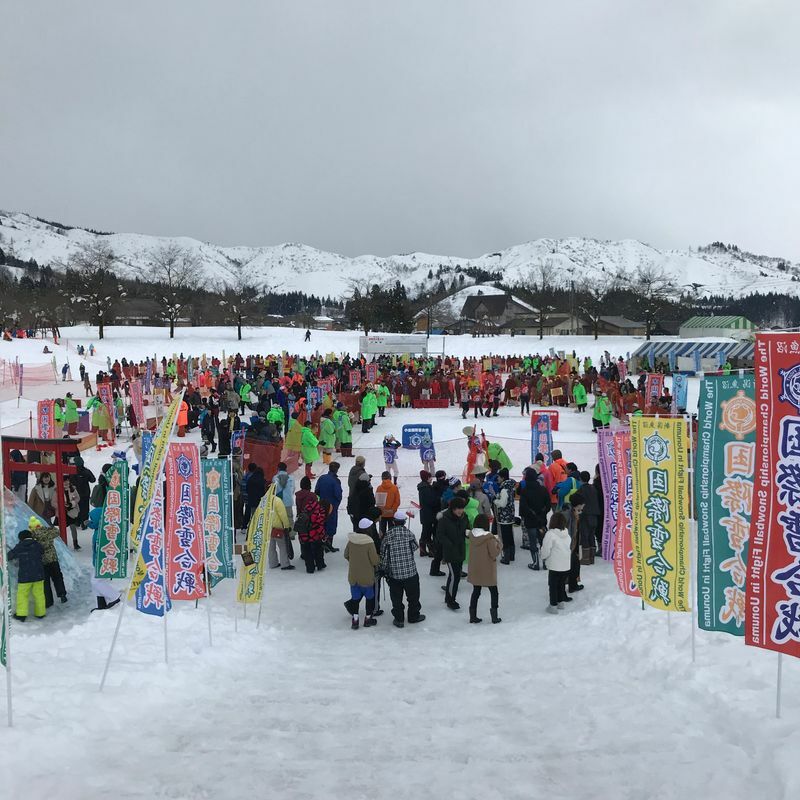 If you are ever in the Niigata area at this time of year, you can find more details about the annual event on their website here.